Fathenzen Two-Tone Occasional Series by Ashley. 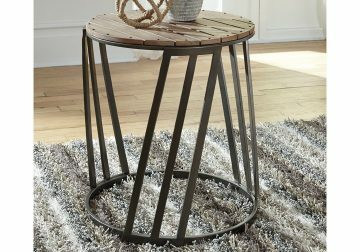 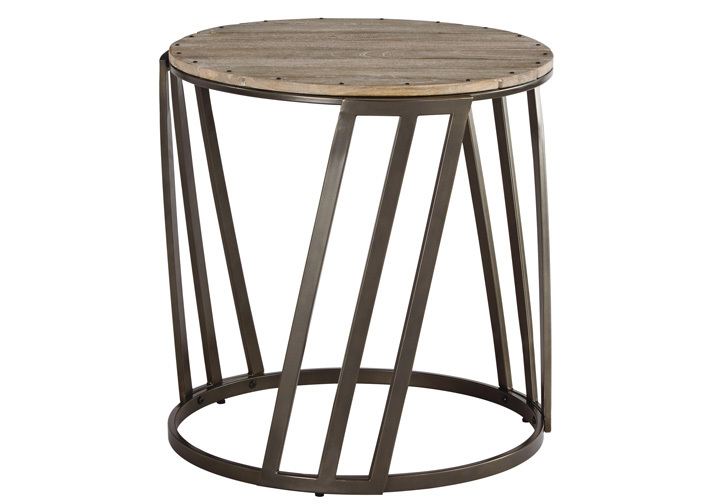 Drum shaped table frame is made with tubular metal in aged steel finish and accented with repeated diagonal legs. Tops are made from solid mango planks with textured whitewash finish and are riveted to the metal frame.